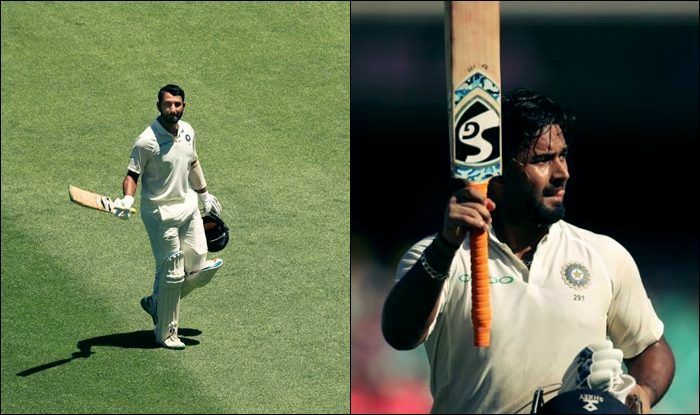 Cheteshwar Pujara ground out a masterful 193 and Rishabh Pant smashed a magnificent unbeaten 159 as Australia`s hopes of winning the match and saving the series were washed away by a torrent of Indian runs on day two of the fourth Test on Friday. Pujara came up seven runs short of his fourth double century but there can be little doubt that his nine-hour, 373-ball knock will almost certainly deliver India`s first test series victory in Australia. The 30-year-old`s centuries in Adelaide and Melbourne went a long way to giving India a 2-1 series lead and there was relief as well as admiration in the standing ovation he received from the crowd when he finally headed back to the Member`s Stand. Once he had departed, Pant and Jadeja initially maintained his circumspection before throwing off the shackles and hammering home India`s advantage with a partnership of 204. Pant had a bit of a scare six runs short of his second test century when he was close to being run out but made his ground safely and reached the milestone off 137 balls with his eighth four – the first Indian wicket keeper to do so in Australia. Australia`s much vaunted pace attack were exhausted after two days` toiling for little reward in the Sydney heat and the wicket that finally precipitated the declaration came again from Lyon (4-178). The hosts had started the day with hopes of making major inroads into India`s batting order but were largely frustrated, even if Lyon removed Hanuma Vihari for 42 to break the 101-partnership with Pujara. Pujara`s almost chanceless innings — he was dropped in the slips on 193 — featured 22 fours and took his tally over the series to 521 runs at an average of 74.42. Pant, whose innings featured 15 boundaries and one six, blotted his copy book in the final hour by dropping Khawaja behind the wickets but nothing was going to mar another dominant day for the tourists.